Jaspah Crewe is a cooperative of artists and crafts people who make and sell their work in Blanchland .THe shop is ran by the members. 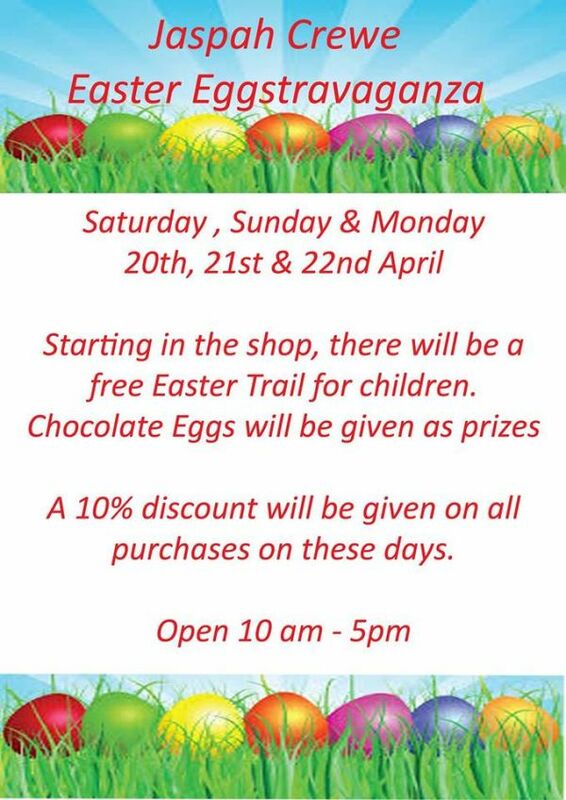 There will be a Free Easter Trail around the village - starting at the shop for details- with Chocolate Eggs as prizes. There will also be a 10% off everything in the shop on those day.